1-800FASTBED - Platform beds Long Island, New York Tri-State Area offers dozens of styles of discount platform bed frames and bed mattresses that are modest in price and high in style. 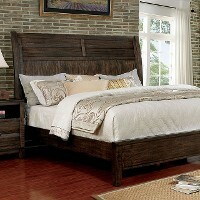 You'll find an excellent selection of wood and metal platform beds in a variety of sizes with great pricing. Home and Bedroom Furniture's attractive Platform Beds are available in a variety of finishes and sizes to fit any existing room. All Beds are constructed of high-quality materials. 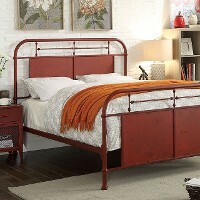 Shop for beds in Twin, Full, King and California King sizes. The awe-inspiring Hydraulic lift storage bed called Zoe Storage Bed commands instant attention when entering a room.It opens easily to reveal convenient and valuable storage space. The lavish tufted leatherette headboard matches any decor. The mattress (not included) sits snuggly atop on a mattress base for stylistic durability and added comfort. Available in Full, Queen and King sizes. 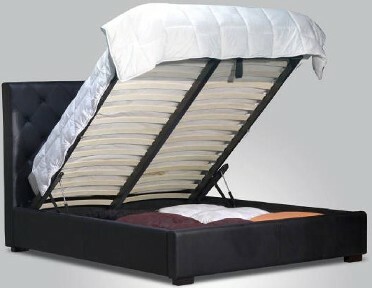 Bed available in Black, Chocolate, White and Beige leatherette.